Melt chocolate in double boiler over medium heat on stove top. Using tongs, or your fingers, quickly dip pretzels in chocolate, allowing the excess to run off. Place dipped pretzels on waxed paper-lined cookie sheets. Sprinkle with chopped nuts, colored sugars or other toppings. Allow to harden. You may need to refrigerate for a while to help this along. Once hardened, remove from sheets and store in a cool location, with waxed paper between layers. A glorious combination of sweet and salty, these chocolate-covered pretzels are wonderful for any occasion! 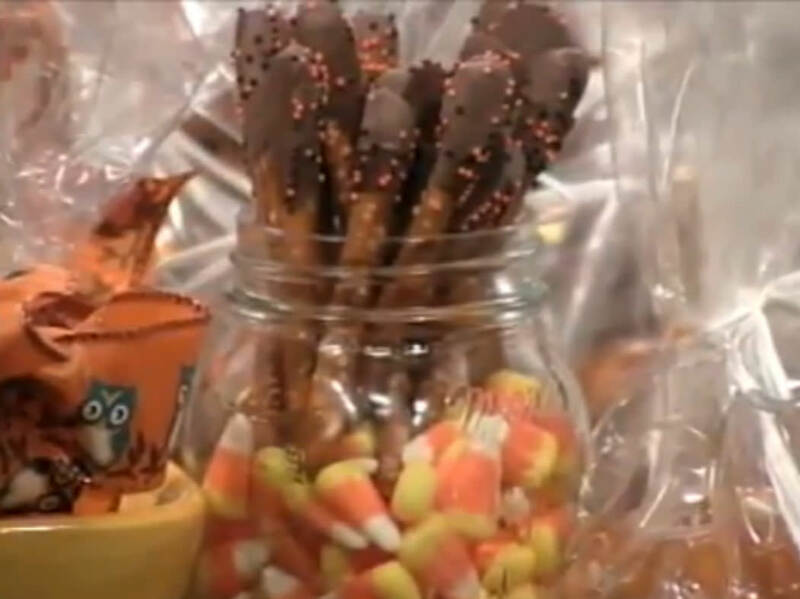 Package pretzels in clear cellophane bags or in a vase for festive gift giving!